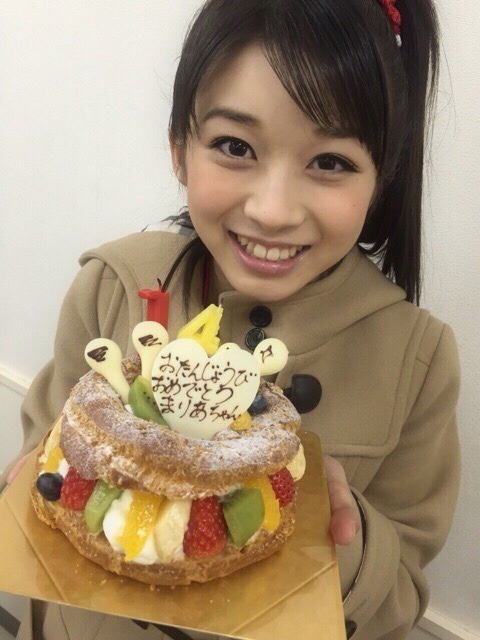 A thread for Maria Makino, one of the brand new 12th generation Morning Musume members! 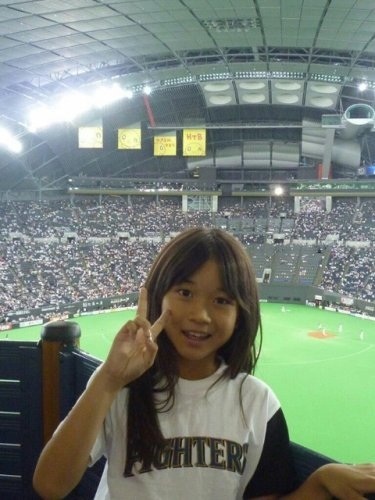 Maria is a former Kenshuusei (trainee) and a finalist from the Morning Musume 11th generation auditions. Maria is goofy and pretty at the same time so that already makes her a good choice :3 She seems very carefree-happy and pleasant to be around! 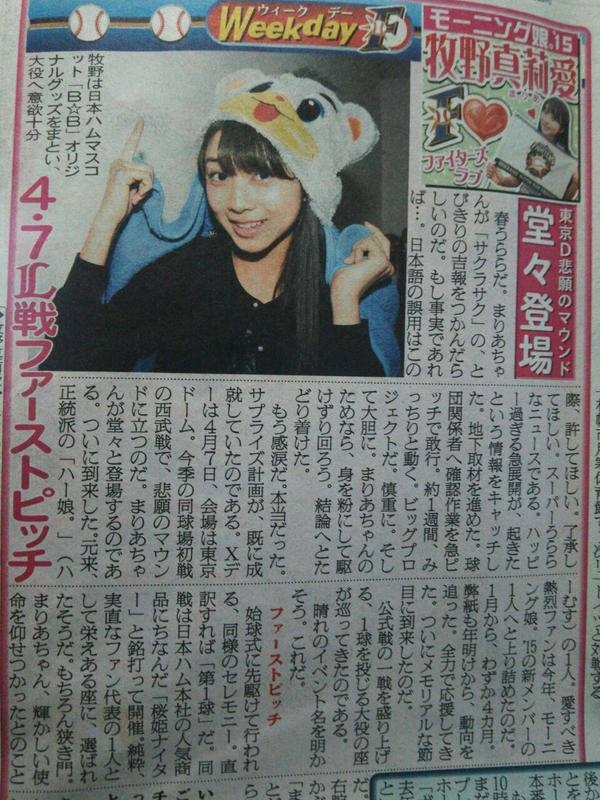 Makino Maria will have a regular feature in Nikkan Sports about the Nippon Ham Fighters. 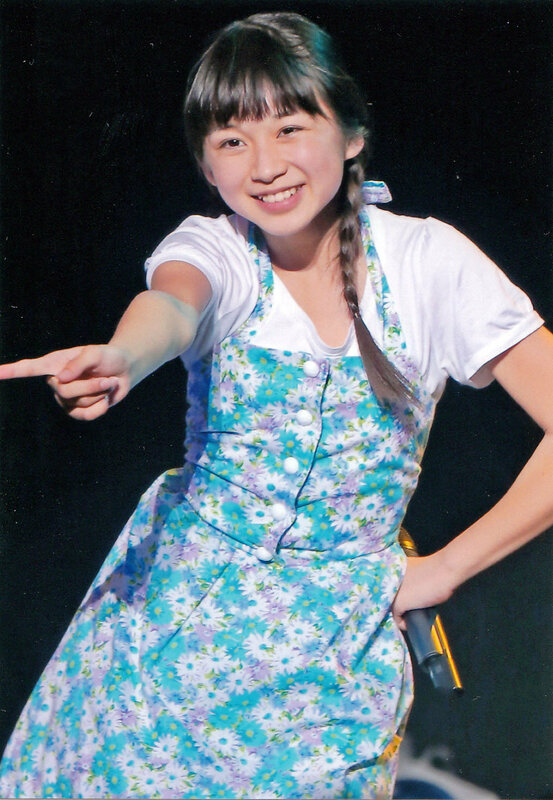 First 12th Gen member to get a solo release is Maria-chan! Looks like the release date is sometime in March, 2015.
take your eyes off of your goals! and hobbies, and have a great year ahead! How did you feel when you saw the video message of you passing? When I say Michishige Sayumi on the video message I became very happy because I love Morning Musume, and I thought “My dream is coming true!”. Before the announcement (was made public) how was it with the Kenshuusei? By the “announcement was on Friday,” did that mean no one knew about the announcement? Thats right. That day everyone was getting close to each other asking “How many of us from Kenshuusei were accepted?” “I wonder who it is here?”. I was trying to keep my mouth shut. I didn’t know who else had been accepted either though, so I was trying to find out too. How were your friend’s at schools reactions? After the announcement at the concert and I went backstage to check my phone, I had about 500 e-mails; I though to myself, “My phone is heavy!”. Was the next day at school noisy? The teachers at my school had told everyone the day before, “Lets act as we usually would (around Maria),”. So the next day was normal for me. My friends came up to me and told me “Congratulations,” though. Please tell us why you wanted to become an idol. It feels like it came without any trigger. I was always in Ballet and I like singing and dancing. But, I always watched “Kirarin Revolution”. I like it so much I went to see that final live. Your first audition was during the 10th Generation auditions, huh? You were only in 5th grade at the time. Yes. After the third round I had failed, but I still felt strongly that I wanted to be in Morning Musume. So, I auditioned again in the 11th Generation auditions and made it to the end. Then I joined Kenshuusei. 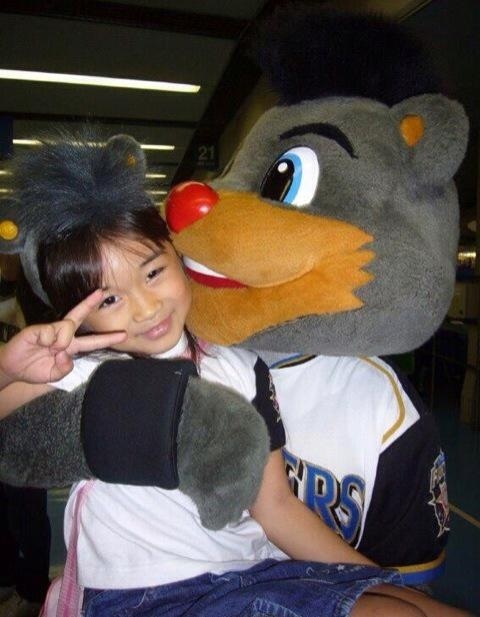 Do you have a happy moment from being in Kenshuusei? Right after joining there was a Winter Hello! 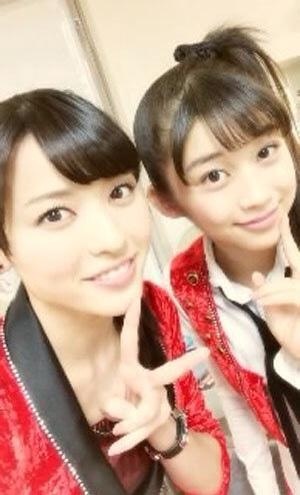 Concert, I had passed Michishige-san and she said “You’re cute,” to me. It made me really happy. Michishige-san is one of your favorite’s, right? She had asked me “What’s your name?”. At the next Hello! Concert, she said “You’ve grown. How many centimeters?”; we talked a lot and it made me very happy. So you came to admire Michishige-san, huh. During the 2014 Summer Hello! 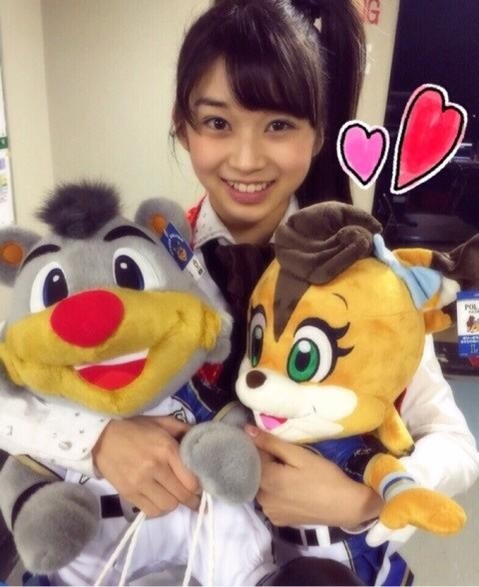 Concert, I thought “This might be that last time I get to see Michishige-san,”, so I gave her a gift. But, after I joined the group I got to see her many times and it made me very happy. What was a hard moment during your time in Kenshuusei? When I joined I was inexperienced in dancing and singing, so I would go home and think “Alright, Now, I need to remember everthing,” but after seeing everyone again I felt like the practice ended up being useless. Just remembering ended up not being enough and dancing and singing were troublesome for me. Makino-san seems to often be considered someone who thinks “I have to learn quickly,” and “I have to remember this right,”, though. There’s still some way to go. I’m not at all good yet. Do you think you have to do everything to perfection? Yes. That was natural for the Kenshuusei. Everyone felt like “I have to do a bit better than everyone,”. If you didn’t do it well, even if everyone said “I can’t do this song well,” it was like you really couldn’t do it. It was pretty strict, huh? But, it was full of chances. Right after I entered, I of course wanted to be the best and do it well; I had a lot of motivation so there was a lot of reason to do your best. 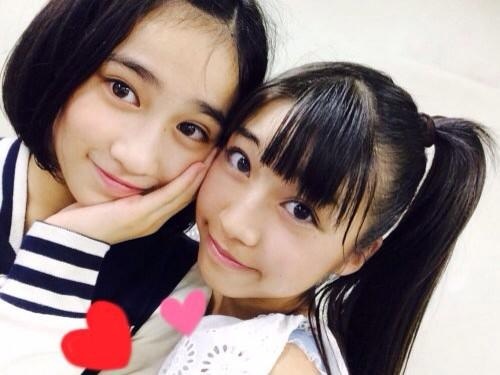 For example, when I joined I was slower than Sasaki Rikako-chan, but I did my best to catch up with everyone. When did you have that impression? It was sudden. I was really surprised. During the 2013 Nama Tamago Show, I remember my standing position for “Ten Made Nobore”. 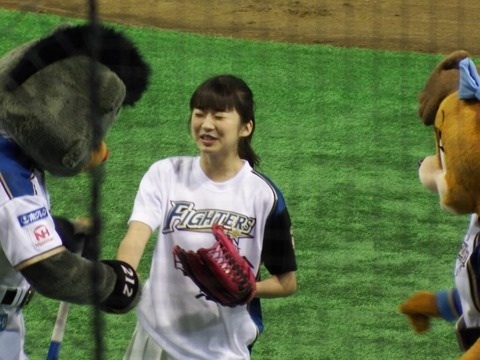 I was in the first row in the middle and Rikako-chan was in the second row in the middle, and we would often discuss which was a the better position. Before you go out and perform a song, do you feel nervous? It doesn’t really change. My performance has the same strength. But, the scenery was entirely different. If my position is in the back, its like I would disappear, though. Being in Kenshuusei, was it your challenge to be in Morning Musume? Yeah. First, I would make it a habit to dance big. In Kenshuusei, I felt “I have to go all out!” more than anyone in my performances, but, Morning Musume does Formation dances where no ones movement matches. My senpai had really pinned down the movement and they would be so good I would get a bit deflated. So, conditioning into it is difficult. Did you take the advice of fellow Kenshuusei? Yes. I would often listen to them. But, I had been in Kenshuusei for two years and didn’t want to listen to everything. There is a time and place to take the advice. But, I also don’t want to throw it all away. Is there a Hello! Project song that you like? The song I performed on my own, “The Peace!”. 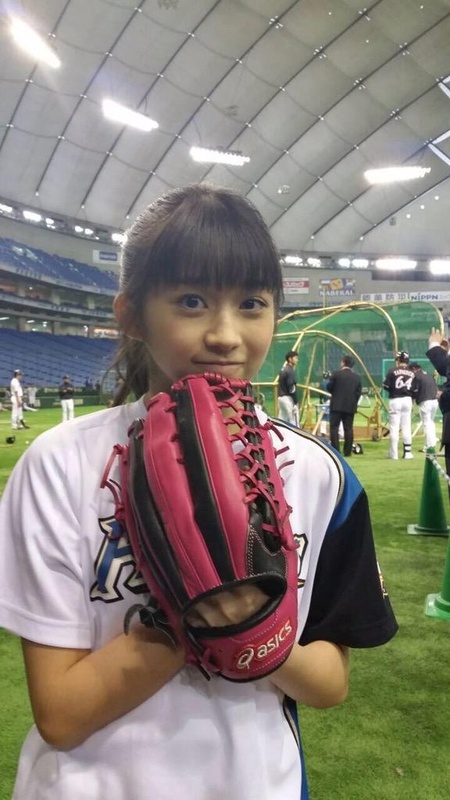 I like Ishikawa Rika in her uniform. Also, it wouldn’t show me off, but I love “Joshi Kashimashi Monogatari.”. The first version I heard was the 2011 Dream Musume version, I remembered all the lyrics over time. If I was able to perform this song in a new version…it would make me really happy. Do you have a rival within the 12th generation? We haven’t performed much together, so I don’t know yet. 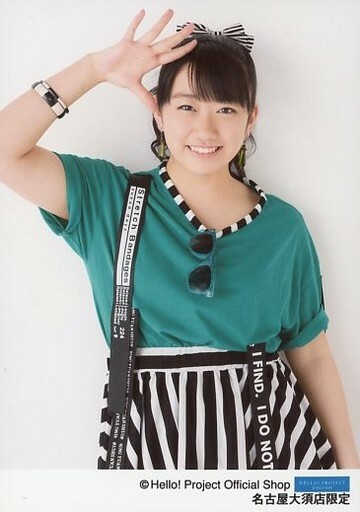 In any case, I want to catch up to my Senpai in Morning Musume. Have you noticed any of the new members in the new groups? What was your relationship with the two of them during Kenshuusei? I talked a lot with Murota-san. 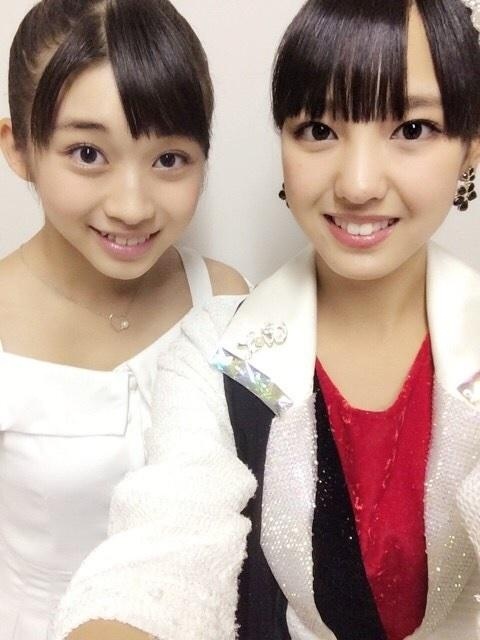 I also talked a lot of with Haga Akane-chan; we have definitely talked a lot. 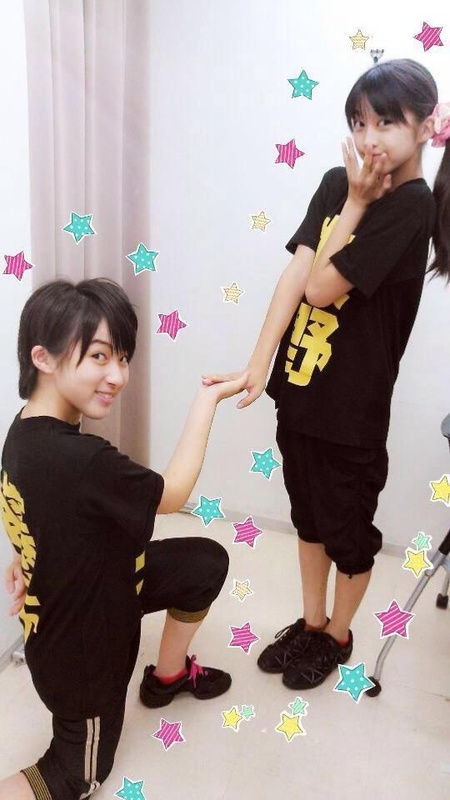 I have become good friends with Rikako-chan, and we talk on the phone a lot. Lastly, please give your self appeal. I’m energetic and hardworking and don’t want to lose to anyone! Therefore, I would like it if I was the number one person you watched. Also, my charm point is my belly button. I’ve been told its shape is pretty. When my costume shows it off, please pay attention to it! But if you look at it too much I’ll get embarrassed…. girls enjoying themselves amidst all the hard work and long hours. Interview was another memorable Maria Moment! "We'll get 'em next year!"